All in all the first episode of Atlanta was a fairly entertaining, sometimes dramatic sometimes funny, show that revolves around black culture in America. The premier of Atlanta starts with the end scene of the episode. Lead character Earn (Donald Glover), his cousin Alfred aka Paper Boi (Brian Tyree Henry), and Alfred’s sometimes wise sometimes simple friend Darius (Keith Stanfield) are sitting in a car at night when all of the sudden someone walks by and breaks off the driver side mirror. A confrontation occurs, guns are drawn, Darius is struck with deja vu when he sees a dog sitting off in the distance, the scuffle continues, the camera zooms out and a shot is fired. Welcome to Atlanta where violence is common, rappers are trying to get signed and everyone is struggling to make a living. It is immediately apparent that the show revolves largely around, not only the struggle and lifestyle of African-Americans in Atlanta but rather, the struggle of African Americans in general. This theme is seen throughout the first episode of the show whether it’s when someone yelling “Worldstar!” off in the distance when the aforementioned confrontation begins or less subtly when Earn meets up with a white acquaintance who tells a story and nonchalantly uses the N-word. Much of Atlanta Episode 1 establishes what type of character Earn is. We find out that he has a daughter out of wedlock but is not absent from her life as evidenced by the daughter’s mother, Van (Zazie Beetz), telling Earn that if he is going to keep spending time at her house he is going to need to pay rent. Next we see Earn working at his dead end job where he is not doing so well at getting people to sign up for a service being told to “F— off” by a stranger when Earn asks him for a minute of his time. Despite all of this it is obvious that Earn is not an idiot and his underachieving attitude is probably more a result of waiting for opportunity to strike or at least present itself to be struck. While at work Earn’s coworker shows him a music video of an upcoming local rapper, the rapper turns out to be Earn’s cousin Paper Boi who Earn hasn’t spoken to in a while. He leaves work early to find his cousin and convince him to let Earn become his manager. After talking to his cousin and being turned down, Earn sets off to find his friend who works at a radio station to convince him to play Paper Boi’s single on the air. After some bribery Earn is successful and gets the track on the air. Later that night Earn is on the bus with his baby daughter. A strange bald man in a bowtie sits next to Earn and starts reciting some philosophical wisdom. Earn shrugs it off and kind of ignores the strange man until the man starts making a sandwich and then offers it to him. Earn turns down the sandwich and the man starts raising his voice, the bus stops, Earn looks forwards and back and the man is gone. He sees him walking by the bus and into the woods with the same dog that Earn is about to see right before the shot is fired later that night. The whole scene feels like it was largely inspired by an episode of Twin Peaks. 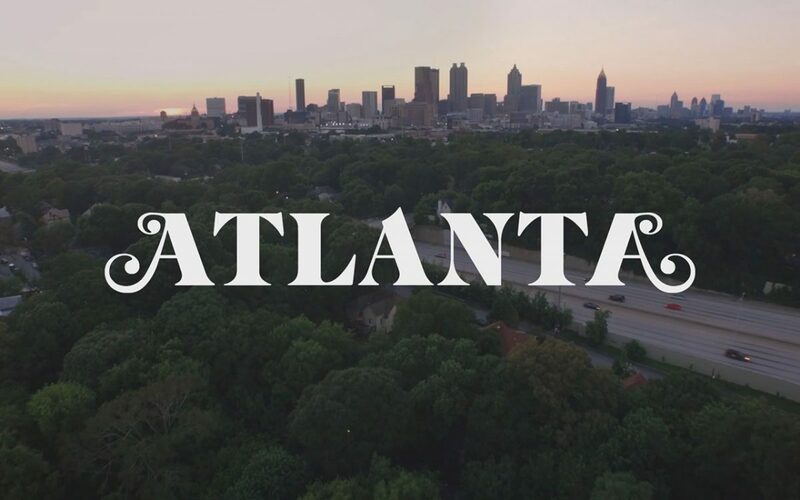 All in all Atlanta Episode 1 was a fairly entertaining, sometimes dramatic sometimes funny, show that revolves around black culture in America. Refreshing in the fact that it is a show for black people and is actually written by an all black cast, there is no shortage of slang and racial epitaphs being used. During dialogue you can’t help but feel like there are old white people who stumbled upon the show and are having trouble understanding what exactly is being said. The characters all seem likeable enough, especially Earn who is a down-on-his-luck intelligent underachiever who knows he is capable of more than what he has accomplished up to this point. Paper Boi doesn’t leave much of an impression and Darius does a good job of acting as the familiar dimwitted stoner. Overall the acting is so-so with a few lines sounding like they are being read from a script, Donald Glover does well enough though, carrying the show with his strong acting skills. The direction of the show is easy to watch with lots of wide shots that act like a painting bringing an entire environment into one frame giving the viewers an idea of what Atlanta is really like as opposed to an imaginary-for-TV “hood”. It will be interesting to see how the show develops as the stage has been set for plenty of potential successes and failures, it will also be interesting to see where the “weird man and his dog’s” side plot leads Earn. Surely if we read between the lines we can find some foreshadowing for how the show will end although accurately predicting how the show will end is as likely as taking a sandwich from a stranger on a bus. Atlanta airs on Tuesdays on FX.